1. Buy an aftermarket set. and a 19mm Rear. It's up to personal preference as to how big you want them to be, but this brings us to option 2. 2. 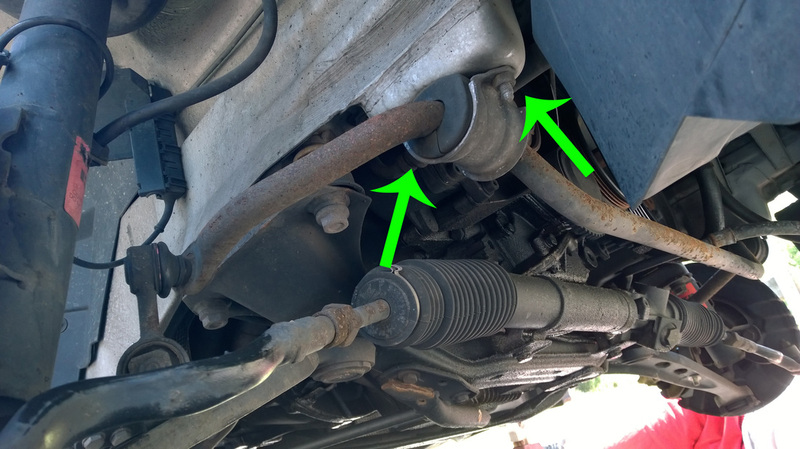 Buy a sway bar from an 6 Cylinder Z3! 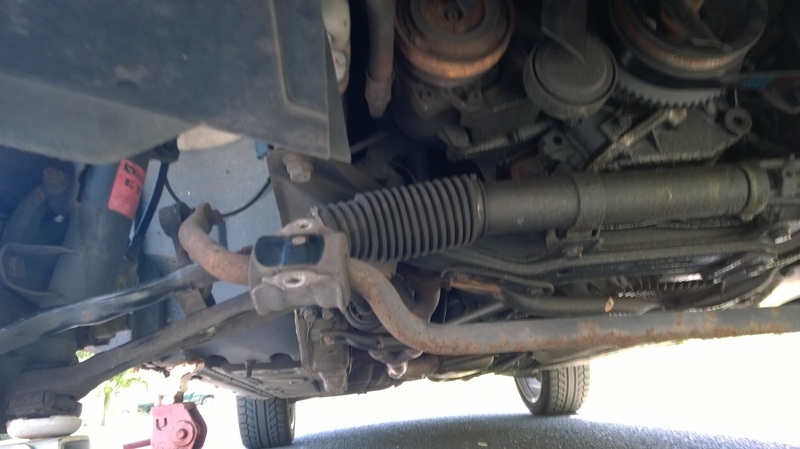 Here is a list of the car and what size sway bar they have. Since our 1.9 came with a front 22.5mm sway bar, I decided to beef it up a little and chose the 3.0 Roadsters 25mm front. This is almost a 3mm difference and should make the odd understeer on the Z almost gone. I haven't chosen a rear yet, but will most likely go with the 3.0 Roadster again. Coming Soon! The part is almost here! Lubricant: White Lithium Grease, Silicone Spray, etc. 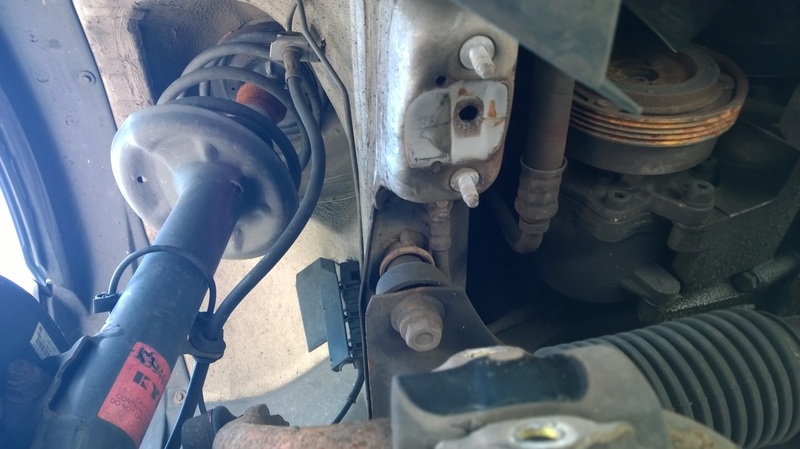 Step 1: Locate the sway bar under the front of the car and remove the bushing bracket bolts, these are 13mm and there are 2 bolts on each side. Torque the nuts to 22 ft-lbs. Step 2: With both brackets removed let the bar drop. 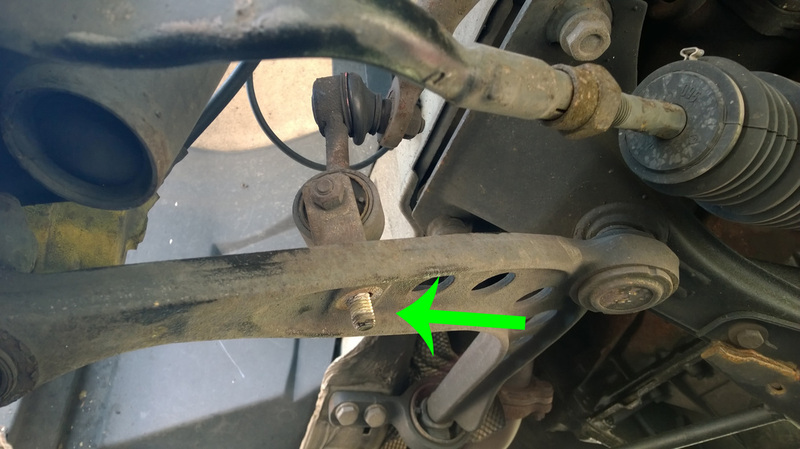 Step 3: Remove the bracket bolt and washer on both sides of the control arm, these are 16mm. Torque these to 44 ft-lbs. 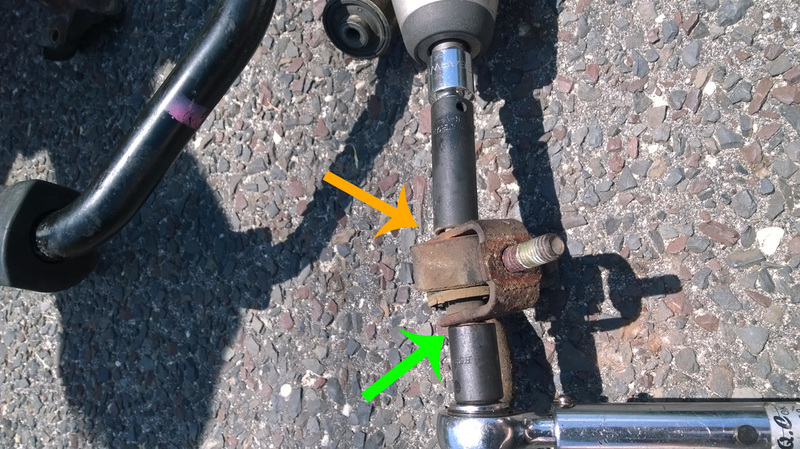 Step 4: remove the sway bar link bracket and transfer it to your new one. These need a 16mm and a 13mm. 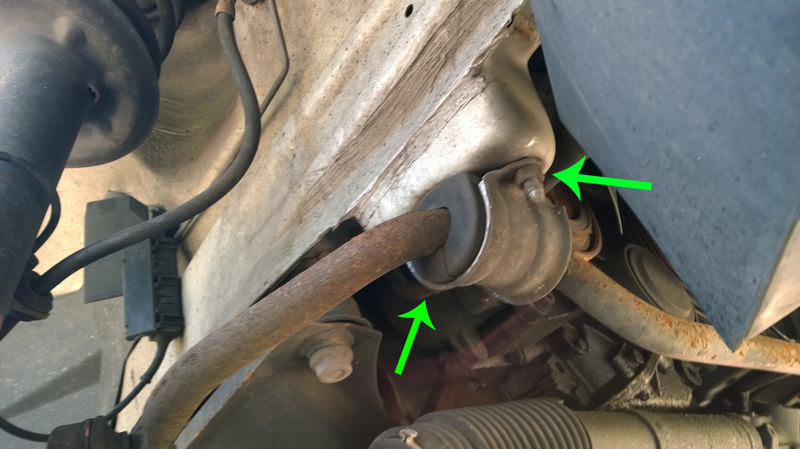 Torque these to 22 ft-lbs and the ball joint that connects to the sway bar to 16 ft-lbs.